Seputih Residence a residential property project by Juara Tiga Sdn Bhd located at Balik Pulau, Penang. 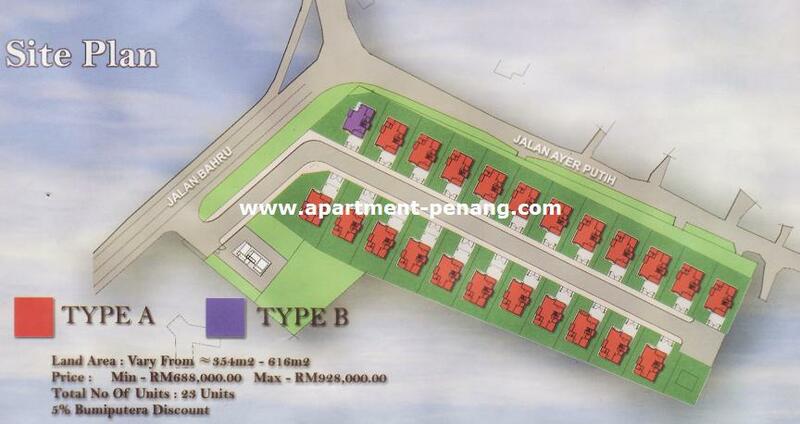 Ideally located in Balik Pulau Town, a natural environment of living with lush greenery in the surrounding. Seputih Residence comprises 23 units of two storey bungalow, each bungalow come with land area measuring from 3,810 to 6,630 sq.ft. Land Area : 3,810 - 6,630 sq.ft. Why nobody comment for this? Its new project? the locatation look ok. anyone know the price? floor plan and sales office located?